View More In Serenades & Divertimentos. 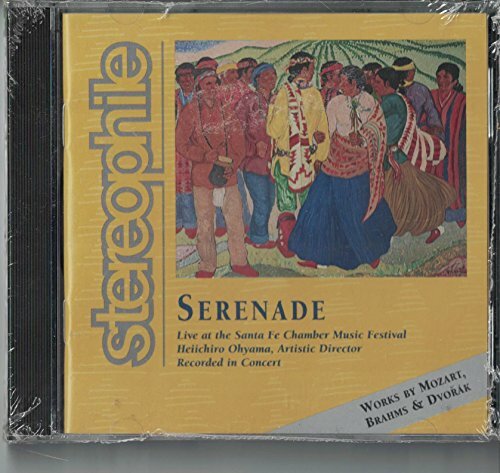 Recorded at St. Francis Auditorium, Museum of Fine Arts, Santa Fe, NM between July 27 and July 31. Works are: Mozart - Flute Quartet in D Major, K 285, Brahms - Horn Trio in E-flat Major, Op. 40 and Dvorak - Serenade in D Minor for Wind & Strings, Op 44. If you have any questions about this product by Stereophile, contact us by completing and submitting the form below. If you are looking for a specif part number, please include it with your message.